1. E-Verify/Form I-9 completion — Currently, the E-Verify database is out of service since the department that runs it isn’t staffed. This means you won’t get the typical quick response about whether or not your new hires are eligible to work in the US. This doesn’t mean you’re free from the responsibility, though. The government still expects you to file I-9 forms for all your employees within their first three business days. TLNT has details on the E-Verify shutdown. 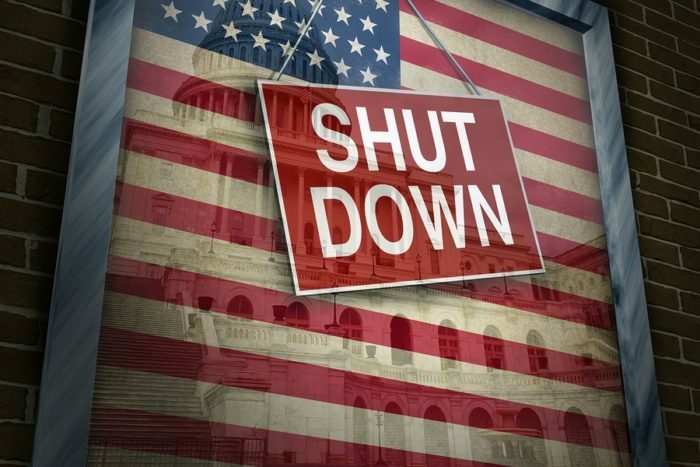 SHRM posted an early roundup of the agencies that are shuttered and the possible impacts on businesses. In the meantime, a good option for making sure your new hires still meet the correct standard is to work with a background check company since they operate outside the government. Bonus points if you can get one that integrates with your HCM system for easy records tracking. 2. The EEOC — The Equal Employment Opportunity Commission (EEOC) is closed, which means there are limitations on their available services. While this may not directly affect HR and payroll compliance processes, this is the office that oversees employment discrimination cases and enforces federal anti-discrimination policies. It’s important for HR professionals giving advice to employees about situations related to workplace discrimination to remember that the EEOC’s capabilities are currently limited. They can still accept cases, but progress may be slow. Check out the statement on the EEOC website for in-depth details on what is and isn’t available through their office during the shutdown. 3. AIR XML file testing for ACA — Anyone filing their Affordable Care Act (ACA) information through the government’s ACA Information Returns (AIR) system for the first time this year might run into some issues since the help desk that supports the system is currently closed. After you submit your communication test file for AIR and get it accepted, the usual process is to call in to the help desk and get your account switched over to Production so you can actually submit your real AIR XML file. Since no one’s there, there’s no way to complete this process at this point. There is a message on the Operational Status page explaining AIR Production is unavailable, but is expected to be operational January 17. 4. The IRS/tax season — This one goes out to all the payroll and finance people who are gearing up for yearly tax filing, but it could also have an impact on HR professionals, too. The shutdown is heavily impacting the IRS, but the agency is still maintaining that tax filing season will start as normal on January 28. That said, all the personnel who typically respond to tax filing questions and maintain support services during tax season are furloughed, so although you can file you may have trouble getting answers from the IRS if you run into issues or are wondering how to handle specific parts of your filing. What makes this lack of support even more difficult this year is the fact that this is the first tax filing season where the new tax code is in place, so there have been a lot of changes to our tax forms and processes. There are also differences of opinion on how the government shutdown combined with the tax code changes will affect tax refunds. The President ordered 46,000 IRS employees back to work without pay to handle refunds and answer taxpayer questions. But some reports suggest there could be sickouts or legal challenges that may prevent refunds from going out. One bright spot is that no one will be audited during the shutdown. April 1st for electronic filing through the AIR system. As I mentioned, the support staff that runs the AIR process isn’t available, so it’s hard to say how smoothly filing will go this year. Having an automated ACA process embedded in your HCM system will be more important than ever, since it will help ensure your forms get generated correctly and comply with the latest standards even if there are no government employees available to confirm that. 2. Industry-specific impacts — Depending on what your organization’s business is, you may see some more specific impacts from the government shutdown. For instance, right now the FAA is closed, which is affecting airplane certifications, causing delays in airlines receiving new planes and impacting this sector of the transportation industry’s ability to comply with federal standards. Also, the Food and Drug Administration isn’t doing any routine inspections to clear domestic food processing facilities, but is trying to restart their inspections of high-risk food items. However, the US Department of Agriculture inspectors are at work. Clearly this could result in increased risk for some organizations in the food processing, food services, and hospitality industries. And these are just a couple examples. The longer the government shutdown continues, the greater the chance for these types of scenarios. This article is reposted from the Kronos blog.